Lady of the Sea General Hospital is proud of the work we do to achieve the high goals we set for ourselves as well to exceed those expectations you have for us. Below is only a partial list of achievements and accomplishments. For more information on this, please contact us at (985) 632-6401. 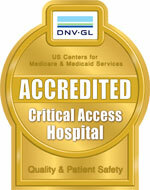 Lady of the Sea has full accreditation to DNV Healthcare Inc. / NIAHO® under deeming authority from CMS. 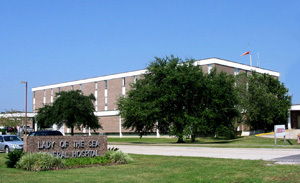 Lady of the Sea General Hospital conforms to the Management Standard System ISO 9001:2008. Lady of the Sea is a Level 2 Well-Spot! Click here to learn more about our Level 2 Well-Spot status and the Well Ahead program. Lady of the Sea is a Tobacco Free Campus. Learn more here. Please submit nominations by downloading and returning this form in the DAISY Box located at the front lobby reception area or mailbox area. You may submit nominations as often as you like, since this is an ongoing recognition program. Click here to learn more about Lady of the Sea's program, and click here to learn more about the Daisy Foundation. We encourage and support organ donation. Click here to visit the Louisiana website.